Playing peek-a-boo with shoulders has settled in as a long running trend since last year and hasn’t gone anywhere yet. It’s just too flirty and fun to leave behind! 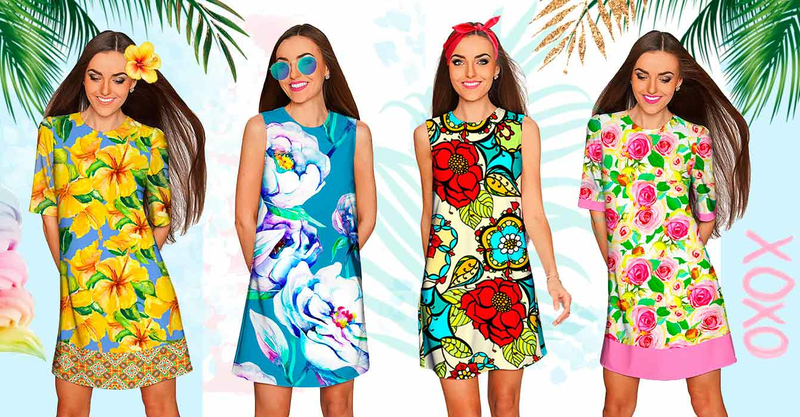 We’re pleased to still see off the shoulder summer dresses and tops with bright colors to compliment sun kissed or tanned skin. But completely off the shoulder isn’t the only way to play with this trend; there’s still plenty of cold-shoulder tops and dress styles that look great for a casual errand runs, brunches and social gettys or more formal affairs like bridal and baby showers. A one shoulder dress is also another gorgeous way to show off those collarbones and shoulders this summer. Pairing any of these styles with a shimmery skin moisturizer to show off a golden glow is 100% the look we’re going to see everywhere this summer! The lace trim makes this midi dress so graceful. These are the must-have dresses for any occasion. It is a great choice for date nights or celebrations. At this point, the maxi dress is a spring and summer mainstay; it’s just not going anywhere - and for good reason. It’s beautiful, looks regal, it’s flattering on everyone, the dress is floor length so it can hide everything from a few extra pounds to a pregnancy belly to undone toe nails. All this and best of all, it’s comfy! Every year and pretty much all year long, there is a version of the maxi dress that makes sense for the season. The dark, velvet cocktail dress had its moment this fall and winter; for summer, the long sundress laden with fun florals and bright colors is back with a vengeance! Going on vacation this summer? Maybe a tropical cruise to the caribbean or the south pacific? 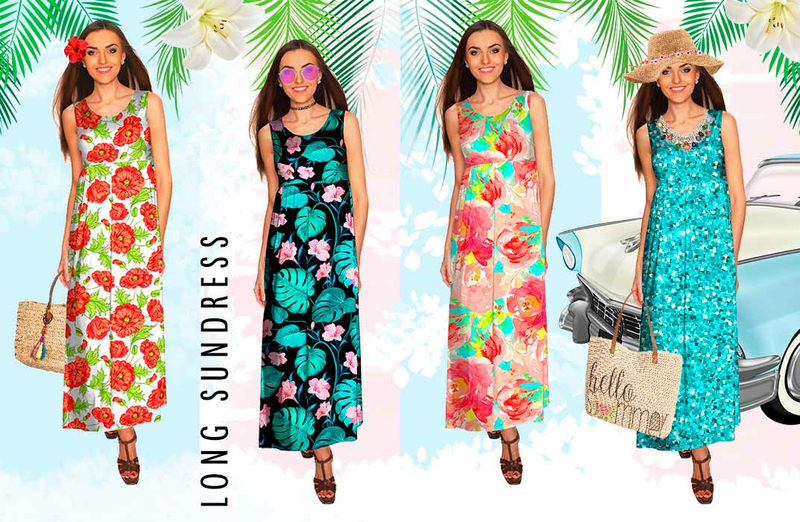 The maxi makes a perfect addition to your colorful cruise dresses since it can be dressed up for formal events or dressed down for just strolling about on board. We’ve said it before, florals have their place all year round. 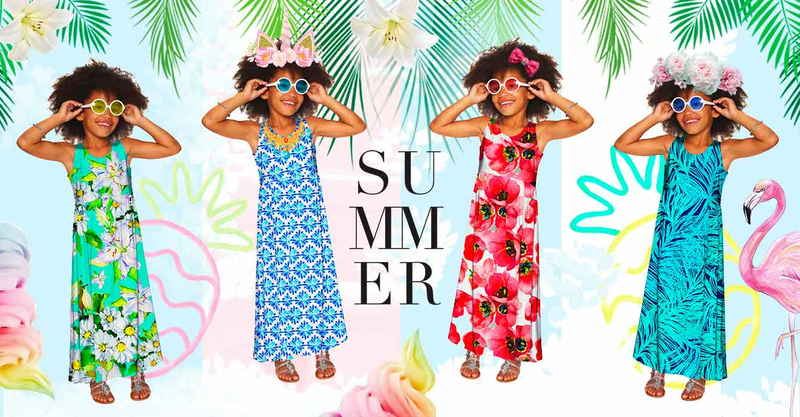 But in spring and summer, they are visual celebrations of the bright, sunny climate and the fun, flirty vibes all around. Mustard yellows and oranges are hot colors this season. For the office, meetings or any other more polished setting, a floral shift dress gives you that playful feel of the season but has the level of sophistication and a touch of chic you need to stay appropriate. Then, after work or on a beach day, switch to some cute beach clothing with bright, vivid hues and feminine florals, plenty of frills and airy, flowy fabrics! The shift dress is also having a moment since it can be worn without sleeves for that 1960’s chic feel or with sleeves. Summer dresses with sleeves are a charming silhouette having a serious moment right now and can range from a classic 1930’s or 1940’s shape to a breezy wrap dress with sleeves; mint, mauve or dusty pink, white, classic red and mustard yellow are just some of the hottest colors for this type of shaped dress this summer!